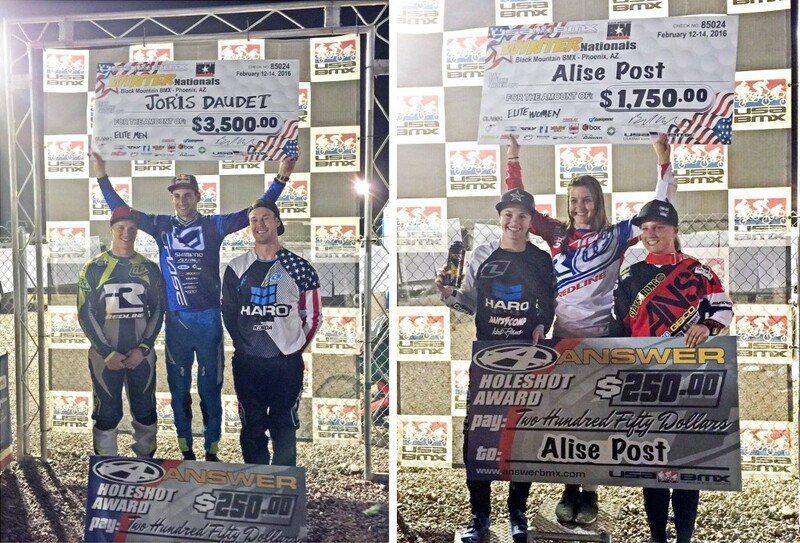 With the kick off of the 2016 USA BMX Pro Series race season, it was the first time that the 2015 #1 Pro Joris Daudet would be back on the track in the USA. Joris had just returned from Colombia where he finished off his pre season training with a camp on the 2016 World Championship track. 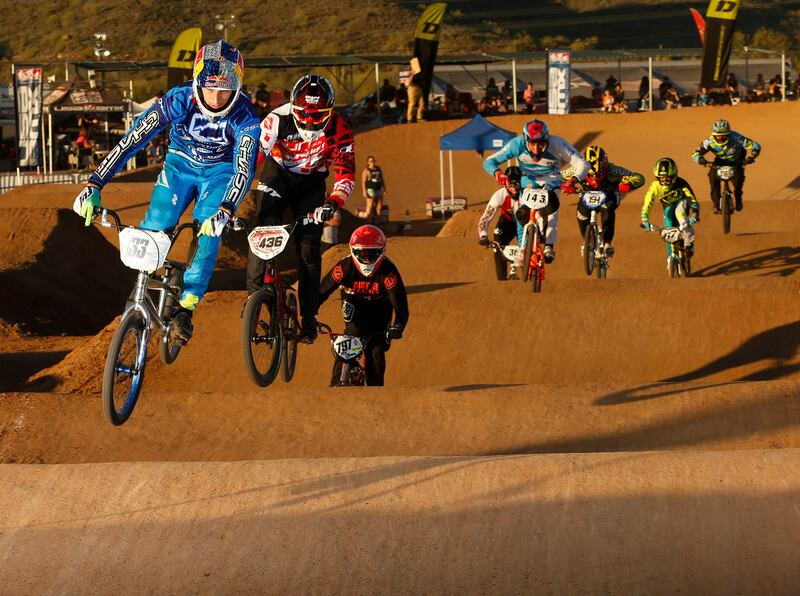 Joris was the long Chase BMX Pro in Phoenix, AZ for the USA BMX Winter Nationals, but his results for the weekend of racing was huge! Day 1 saw 44 Elite Men racers take to the famed Black Mountain BMX track, where blazing fast speeds usually match the temperature in the Arizona desert. Joris started the day off strong and continued to rage fast and smart through the the day, all the way into the night, for the Main event. Once the gate dropped, the race battle was among the top 3 riders – Joris, Sam Willoughby, and Nic Long. Joris took the early lead and held off the charge from Sam the entire track, with Nic just behind the 2. Joris would take the day 1 Elite Mens main event wire to wire! Day 2 saw 38 riders on track, but not any less of the fast and action packed race action. Once again, Joris rode flawlessly all day, again advancing into the main event. This time, it would be a challenge from a young rider from Argentina, Gonzalo Molina, who was trying to close on Joris, but he was no match for the ultra fast USA BMX #1 Pro. Nic Long would once again take the 3rd. 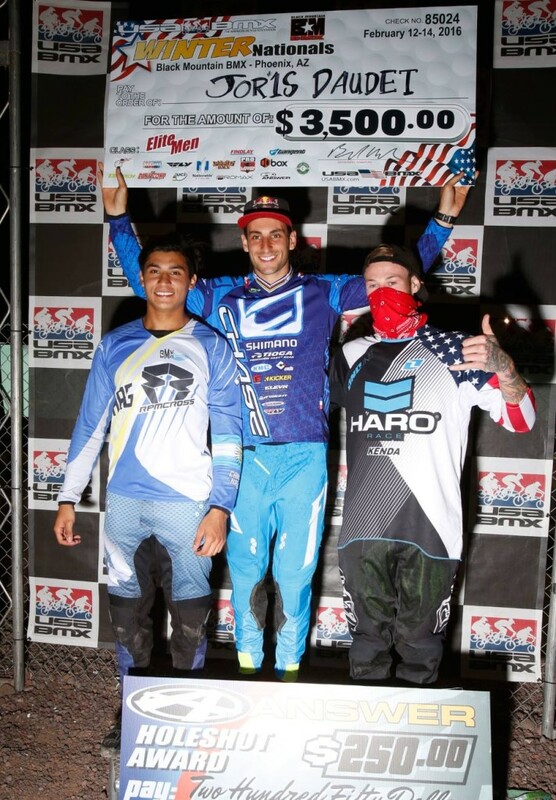 A perfect weekend for Joris on the famed Black Mountain track, but more importantly, a perfect was to start off the chase to keep the USA BMX #1 Pro title. Joris will head off to Oldsmar, Florida next weekend, where he will meet up with teammate Connor fields, where they both will be hitting the 8 meter starting hill for the first time of year, as its 2nd round of the USA BMX Pro series tour, but this time on the Supercross style track. 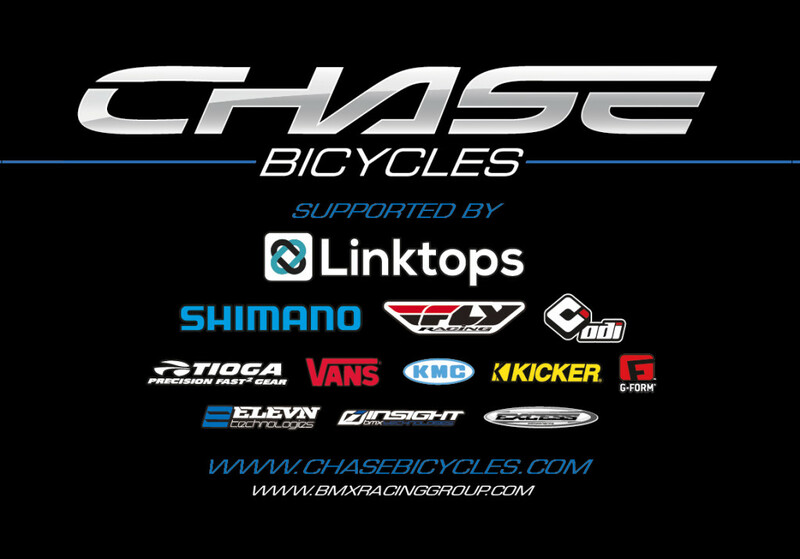 Chase BMX is proud to be supporter with our great 2016 partners – Linktops, Shimano, Fly Racing, Tioga BMX, Kicker, G-Form, ODI, KMC, Vans, Elevn, Insight, and Excess.